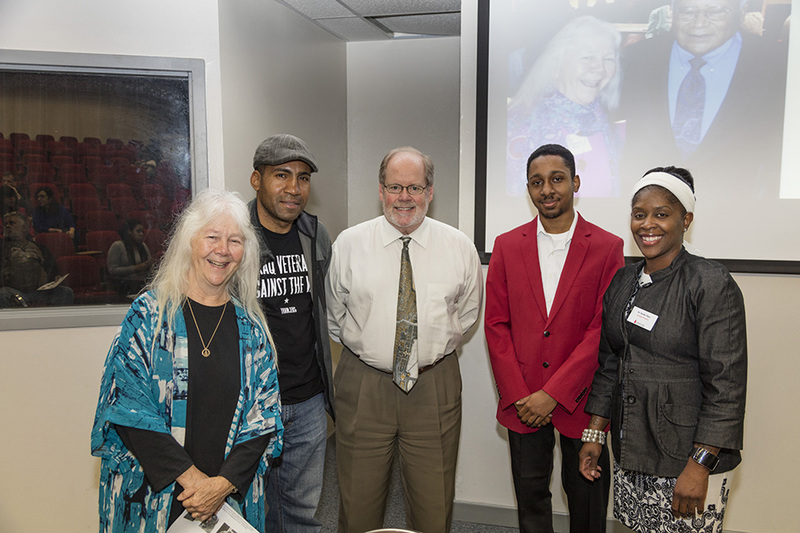 UIW’s Ettling Center for Civic Leadership marked the 50th anniversary of Dr. Martin Luther King Jr.’s speech, “Beyond Vietnam: A Time to Break Silence,” with a panel discussion considering the relevance of the 1967 speech for current times. In his speech at Riverside Church in New York City, King felt compelled to break the silence and speak out about the intersection of racism, militarism and extreme materialism fueling the Vietnam War and ruining U.S. democracy at that time. 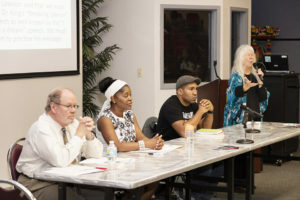 From left: UIW’s Dr. Roger Barnes, Dr. Doshie Piper, Jovanni Reyes, Iraqi Veterans Against the War, and Sr. Martha Ann Kirk, CCVI (right) were among the presenters. Panel presenters include veteran Jovanni Reyes, Sr. Addie Lorraine Walker, OST director of the Sankofa Institute for African American Pastoral Leadership, Dr. Roger Barnes, UIW sociology, Dr. Trey Guinn, UIW communication arts, Dr. Doshie P. Piper, UIW criminal justice, members of the Holy Redeemer Community and others. 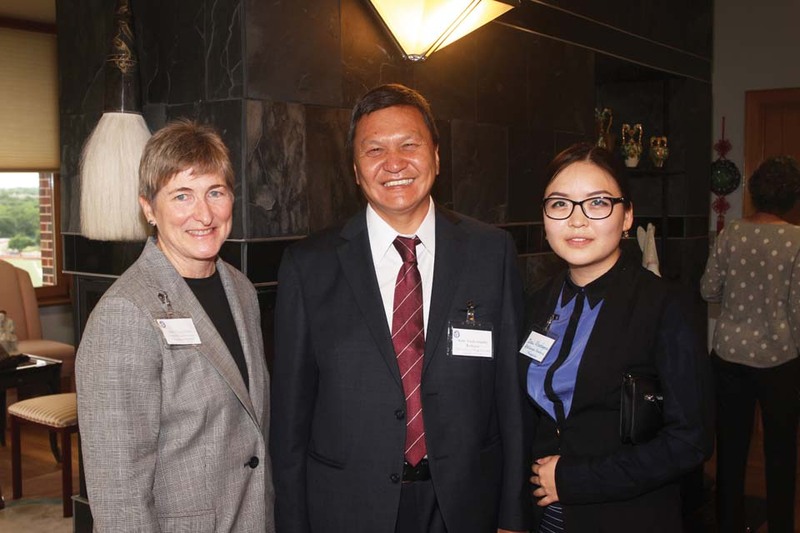 In addition to the UIW Ettling Center for Civic Leadership, co-sponsors of the panel discussion included the Dialogue Institute of the Southwest, Holy Redeemer Catholic Church, Iraq Veterans Against the War, Leadership Conference of Women Religious – Region 12, San Antonio peaceCENTER and San Antonio Pax Christi.